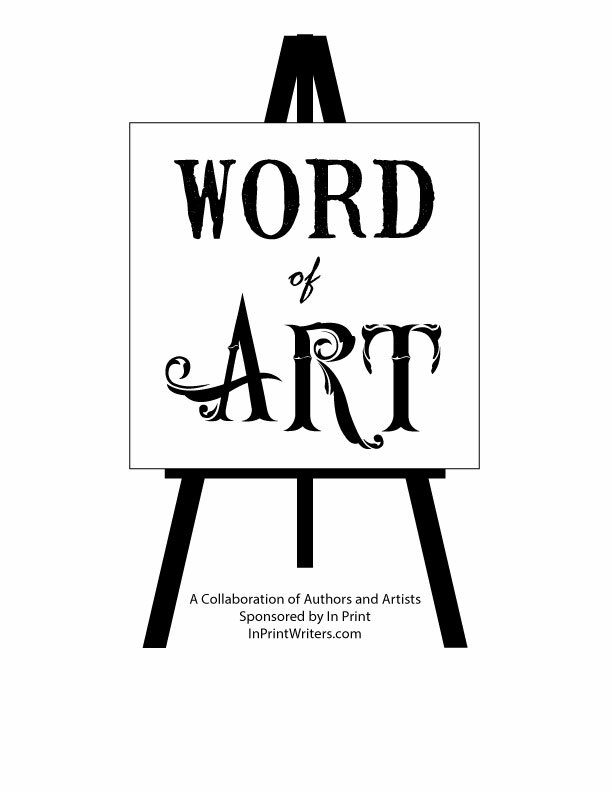 Word of Art is a collaboration of authors and artists sponsored by In Print. Authors submit original stories. Work can be any type: fiction, non-fiction, poetry, etc. Nothing of a graphic nature will be accepted. Work must not exceed 200 words. All work must be submitted with a title. Artists will select stories and create a canvas inspired by the work. In Print will publish a book containing the selected stories and artwork. In Print will hold a reception on September 5, 2014, to showcase the art and stories, artists and authors. Copies of the book will be available for purchase. People can participate as both author and artist. Note: You cannot select your own story. Authors can submit up to five pieces. A maximum of two will be selected from any author. Multiple submissions should be sent separately. Include contact information and a brief biography in the third person. Submissions must be original and previously unpublished. Due to the length of the project, no simultaneous entries will be accepted. In Print will own the selected entries. Rights will revert following publication. Authors can submit original stories from February 8, 2014 through March 15, 2014. Submit your work to Mary Lamphere (WordofArt@inprintwriters.com) in the body of the e-mail. No attachments. Stories will be available for artist selection between March 29, 2014 and May 5, 2014.